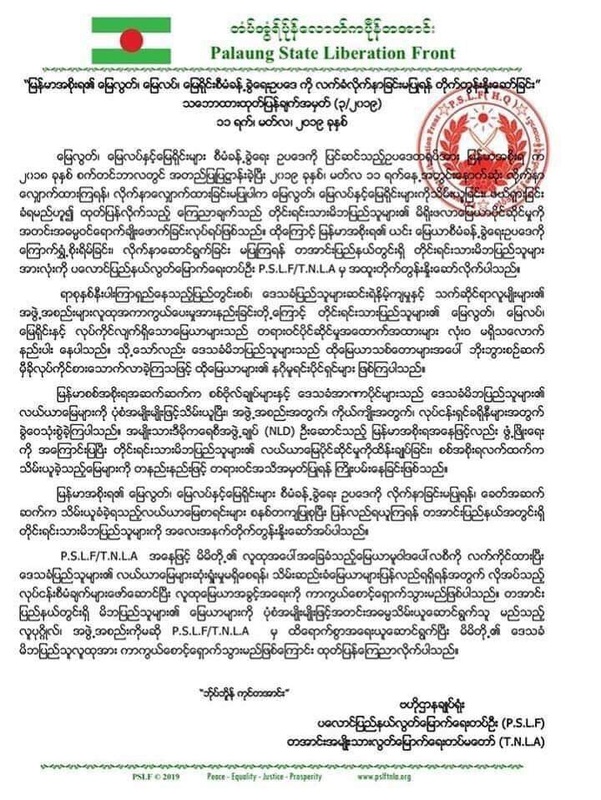 Palaung State Liberation Front (PSLF) / Ta’ang National Liberation Army (TNLA) released a statement on the Vacant, Fallow & Virgin Land Management Law (VFVL) on 11th March 2019. 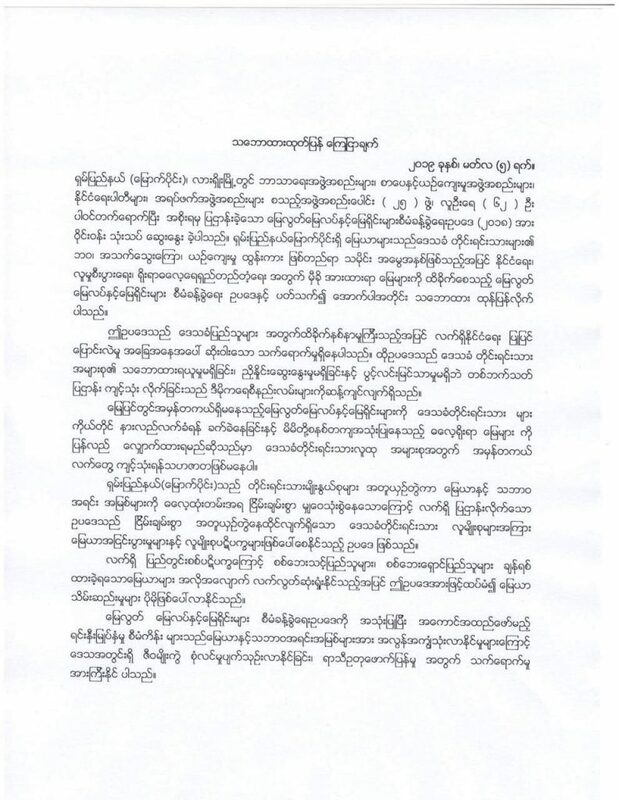 The statement is claiming that the peoples living & making lives on the land are the original owner of the land thus no need to use the VFVL; reminding the peoples from Ta’ang area to claim back the lands grabbed previously; promising PSLF/TNLA would uphold land policy that protect the community from losing land and would take actions against those any individual or organization attempting to grab the land from its people. 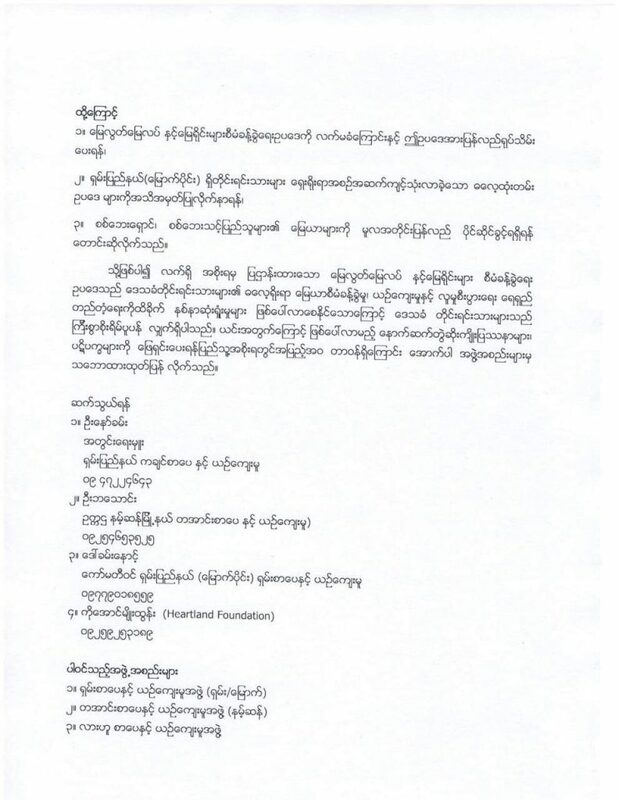 The Peace Process Steering Team (PPST) of Nationwide Ceasefire Agreement Signatory – Ethnic Armed Organizations (NCA-S EAO) released a statement from its special meeting (03/2019) happened during 5-7 March, 2019. 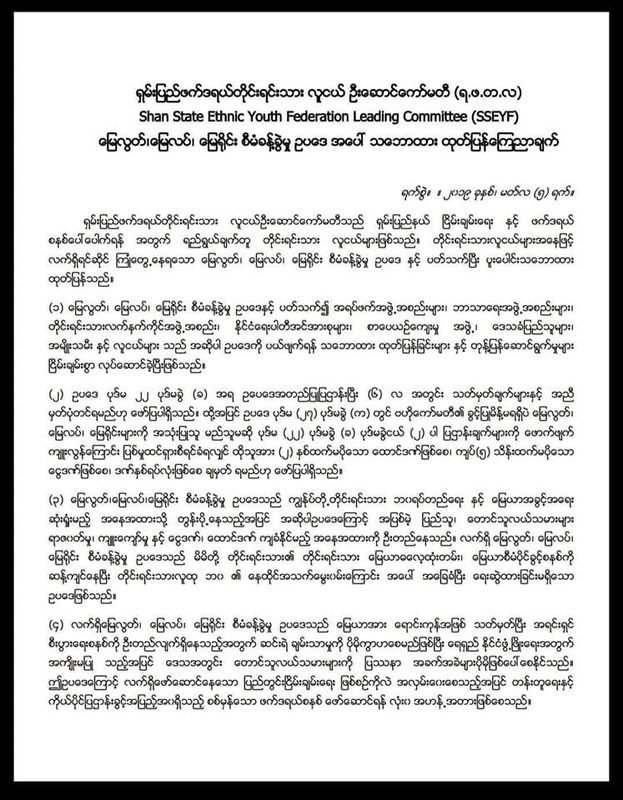 The statement urged to review & amend the Vacant, Fallow & Virgin Land Management Law (VFVL) accordingly as it is opposing democracy norms and federal principles; and to stop enacting similar laws in the future. Ethnic literature & cultural development organizations held a workshop reviewing the Vacant, Fallow & Virgin Land Management Law (VFVL) in Lashio of Shan State (Northern Shan). Together with Kachin, Ta-ang & Shan Literature & Culture Development Organizations, 62 participants representing 25 organizations participated in this workshop happened during March 5, 2019. 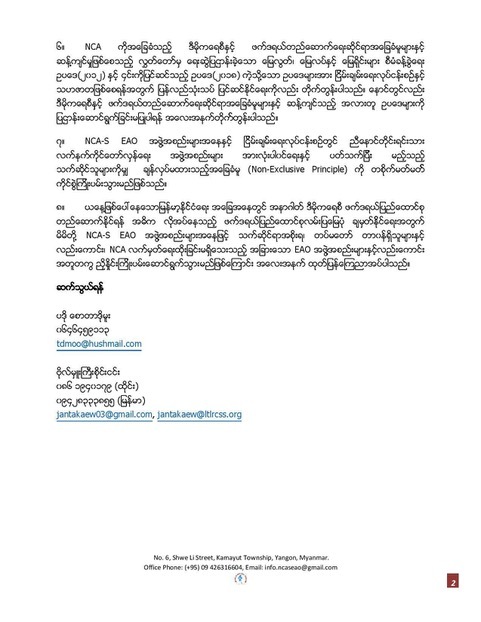 A statement come out from that workshop demanding to cancel the VFVL, to recognize customary tenure practices and to ensure the land restitution for displaced persons by armed conflicts.